PlayOJO is a brand new exciting online casino. To welcome you as a new players the casino offers you up to 50 Free Spins. The special thing about this bonus is that you won’t have to wager your bonus. For every €1,00 you deposit, you will get 1 Free Spin on Starburst or Rainbow Riches. No wagering, no strings attached. The bonus is capped at a maximum of 50 Free Spins. So deposit €50,00, and take 50 Free Spins without wagering. All money won during the Free Spins will be added to your casino balance. Because you don’t have to wager your money, you can withdraw whenever you want! At the moment it is possible to play your Free Spins on Rainbow Riches or on Starburst. Rainbow Riches is a great video slot by Barcrest with a maximum win amount of €35920,00! Pairing up some Rainbow Riches symbols can make you some serious money. More in to the NetEnt games? Then play your Free Spins on the all-time classic Starburst. Collect multiple Starburst symbols with expending wilds an hit some huge winnings. And remember, all winnings are wagering free at PlayOJO Casino! Update (2019): 50 Free Spins on the Book of Dead! At PlayOJO they have decided to make their welcome offer even more interesting. From now on you won’t be able to claim 50 Free Spins on Starburst, but on the Book of Dead! Why? Because nowadays Riche Wilde and the Book of Dead is one of the most exciting and popular casino slots. The most important reasons for this is that the Book of Dead offers a very interesting bonus feature. During the free spins bonus you will enjoy one special expanding symbol. This symbol will cover the complete reel every time it appears, which offer you the opportunity to land way bigger wins. In addition to this it is possible to retrigger the free spins bonus multiple times, which adds even more excitement. And you know what’s great? All of your winnings during the 50 Free Spins are 100% wagering free. This means you can cash it out straight away! PlayOJO has a few unique features. The most important thing? The casino is all about giving the play control over its money. At PlayOJO you will not find any wagering or hidden terms and restrictions. The casino doesn’t award bonus money on your first deposit, so cashing out winnings is never a problem. And because the casino focuses on fairness and security it is also fully licensed. The casino is licensed by the UK Gaming Authority and abide by fair play rules, even detailing their principles in a unique ‘Play Manifesto’. Sign up now and team up with your sidekick OJO; the special character the casino developed to help people enjoying the casino experience. Besides these promises the casino offers some other features. We will highlight some below. Want to sign up directly? Click the play now button and collect your 50 Free Spins at PlayOJO! The special OJOplus feature is great for all players at the online casino. With the unique feature every player will enjoy money back on every bet the make. From the moment you start playing, PlayOJO will collect the money in our OJOplus account. This is a special balance besides your regular money balance. All money on your OJOplus balance can be used on all of the casino games. And you only have to wager it once (1x)! It doesn’t matter if you win or lose. You will always collect money that goes into your personal OJOplus account. Because of this we can state that PlayOJO pays better than many other casino! Besides the 50 Free Spins, you can also collect rewards through the special loyalty system. With every bet you make, you will earn point for your loyalty status. Move up levels and collect rewards at PlayOJO Casino. The higher level you get, the better the rewards will get. After your first few levels it will also be possible to spin the unique ‘’The OJO Wheel’’. This special feature will give players the chance to hit some serious winnings. After levelling enough it is also possible to get into the exclusive Club OJO. Which guarantees you a special VIP treatment. At PlayOJO you can play some of the best games around. In the gaming lobby you will find over 500 of the best games. All famous names are available; NetEnt, Amaya, Barcrest, WMS, Microgaming and NextGen games can all be found in the online casino. Most of the games work great on mobile or tablet so playing on the go is no problem. Find your favorite games using the handy search function and collect your favorite in your personal OJO Playlist. Want to know everything about this new casino? Then keep an eye on our website. We will write a full review within a few weeks. For now you can already collect your 50 Free Spins Bonus at PLayOJO. Because we now you will going to like this one! PlayOJO Mobile Casino; Get access to hundreds of the best games! When you enjoy to play slots and other casino games on your smartphone or tablet then PlayOJO is one of our recommendations. Since the launch in 2017 the casino had a strong focus on mobile players. Because of this you will enjoy a top quality experience on any mobile device including Android and iOS smartphones and tablets. While playing on mobile devices you will now get access to hundreds of the best mobile casino slots. Some of the most popular mobile slot providers are Play’n Go, NetEnt and Red Tiger Gaming. In addition to this PlayOJO also offers table games and live dealer games to mobile players. The live dealer games are provided by both NetEnt Live and Evolution Gaming. Most traditional online table games are provided by Play’n Go. Open PlayOJO on your mobile device today to have a look at the complete game portfolio that is available in your country! At PlayOJO, the fair online casino, you will be able to claim 50 Free Spins without any nasty terms. How it works? You will get 1 Free Spins for every €1,- you deposit. The maximum amount of spins is 50, which requires a €50,- deposit. All winnings you enjoy during your free spins will be added to your cash balance. This means there are no restrictions and no wagering requirements! Isn’t that amazing? Good luck and enjoy your Free Spins on the Book of Dead! Get access to over 2.000 of the best casino games. 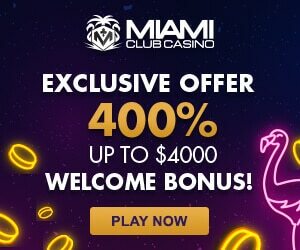 Claim 50 Free Spins without wagering requirements. Quick payouts, 24 withdrawal time frame. Works perfect on both desktop, smartphone and tablet. Website slow from time to time. Since the launch in 2017 PlayOJO has become a new popular name within the online gambling industry. The main reason for this is that many people seem to like the new approach without nasty terms and wagering requirements. At PlayOJO you will be able to claim some bonuses, but not a lot. But the ones you get, are wager free and come without any maximum win terms. In addition to this the complete conditions scheme is very fair and reliable. Join PlayOJO today and get access to 2.000+ casino slots and claim 50 Free Spins on the Book of Dead! Besides the 50 Free Spins Bonus PlayOJO offers kickers every day. Kickers are one day bonuses which can be collected by making a deposit. All daily kickers can be found in the special kickers section in the menu. You can check the kickers each day and decide if you like the deal or not. At PlayOJO you can expect some generous offers including Free Spins, Free Cash, Reel Spinoff tournaments and OJO Wheel Spins. All without wagering requirements of course! Sign up now and collect your first 50 Free Spins by making a €50,00 deposit! Select your favorite depositing method. At the PlayOJO you can deposit with VISA, Mastercard, Maestro, iDeal, Skrill, Neteller and more. The minimum amount if €10,00 but we recommend making a bigger first deposit. Deposit €50,00 to collect the maximum of 50 Free Spins. If you want to collect your 50 Free Spins at PlayOJO you will need to make a first deposit in the casino. In the cashier section of your account you will be able to make a payment. If you like to make a deposit you will first need to choose which payment option you will like to use. At PlayOJO you will be able to make payments using all popular online payment options including VISA, Mastercard, iDeal, SoFort, Trustly, PaySafeCard, Skrill and Neteller. All these payment options are available from as low as €10,- per transaction, which is great. One thing I don’t really like is that there is a 5% payment fee for payments using Skrill and PaySafeCard. In my opinion online payment in an online casino should always be free of charge. When you want to cash out some of your funds you will be able to request a withdrawal. Due to strict anti-money laundering rules you will only be able to cash out fund using the payment method you have used to make your deposit. For example; When you made a deposit using Skrill, you will only be able to cash out using Skrill. At the moment PlayOJO supports withdrawals using Credit Cards, Wire Transfer, Neteller, Skrill, Webmoney and PaySafeCard. All withdrawals are free at PlayOJO and most options will be processed the same day, which is great! PlayOJO isn’t the only casino that offers 50 Free Spins. At some other online casino you will also find welcome bonuses or no deposit bonuses including 50 Free Spins. The fact that the Free Spins at PlayOJO are wagering free does make a huge difference. All winnings can be cashed out immediately. Sign up at one or more of the casinos below to collect as much bonus money as possible.